Larry Jack Powell, 78, of Leland, passed away on Thursday, April 11, 2019, at Trinity Grove in Wilmington. He was born in Eden, North Carolina on April 1, 1941, the son of the late Lonzey Powell and Nannie Cheschire Powell. Larry was a United States Airforce veteran who served during Vietnam and continued to be very patriotic throughout his life. In 1970, Larry and his wife Wilma relocated to Wilmington, where he took the position as tax administrator for New Hanover County. After 13 years, he transferred to the Buncombe County tax office and took an early retirement. In 1989 he and Wilma opened up Powell Bail Bonding. Larry was in the bonding business for over 28 years in Wilmington, NC. He has served on numerous state and local committees regarding regulations and policy changes for the improvement of both Professional and Surety Bondsmen throughout our state and was a founding member of the North Carolina Bail Agents Association. 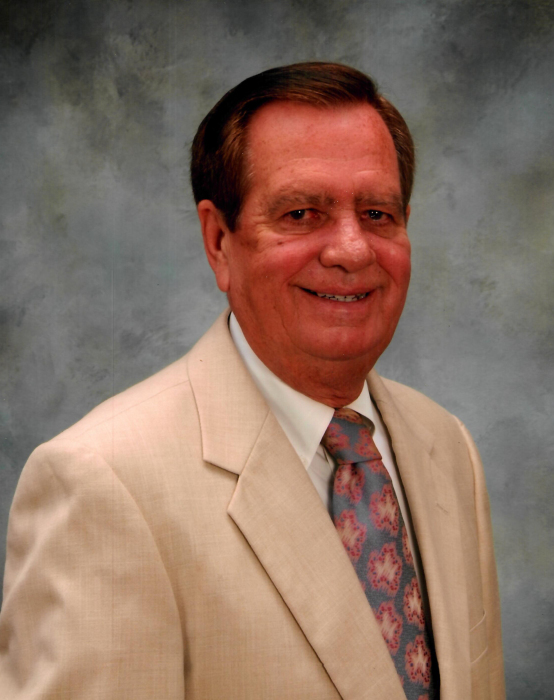 He served on the NCBAA board for many years and was inducted into the NCBAA hall of fame in July 2011. He had a green thumb and loved working in his yard. He will be remembered for all the help he gave to his family and friends. In addition to his parents, Larry was also preceded in death by his loving wife of 56 years, Wilma Rieson Powell. He is survived by his children, Lavon Keith and husband Michael; Larry A Powell and wife Sonya; and Cynthia Lee and husband Paul; brothers, Talmadge Powell and Tony Powell (Debra); sister, Carolyn Fain; special cousin, Iantha Waddell and family; numerous grandchildren and great grandchildren and many other loving family members and friends. Funeral service will be at 12:00 pm on Monday, April 15, 2019, at Quinn McGowen Funeral Home in Wilmington with Rev. Tina Frazier officiating. The family will receive friends one hour prior to the service at the funeral home. Burial will follow in Oleander Memorial Gardens in Wilmington with the U.S. Airforce performing military honors. Memorial donations may be made to the Alzheimer’s Association Eastern North Carolina Chapter 5171 Glenwood Avenue, Suite 101 Raleigh, NC 27612.